Earn up to 48,232 reward points. Pro baritone with a mix of alloys. 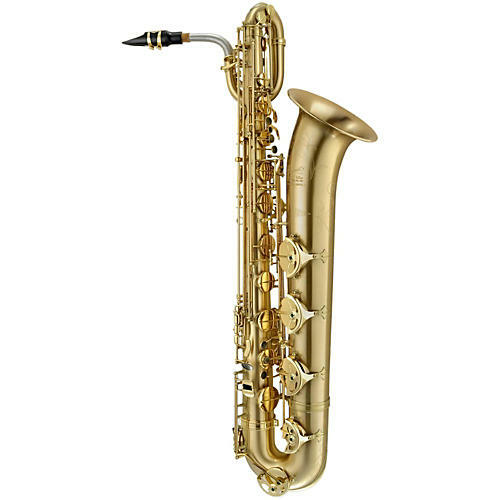 The Le Bravo 200B saxophone combines warm, resonant red brass with the powerful solid nickel silver neck to create a thick sound with serious punch. It is a professional level instrument with all of the low end prominence required for professional inclusion in a horn section for R&B or jazz, and for anchoring the saxophone section in band and orchestral environments. Handmade by an expert team of elite craftspeople, the P. Mauriat professional series instruments offers everything a professional player needs. Order now and settle in for the ride.